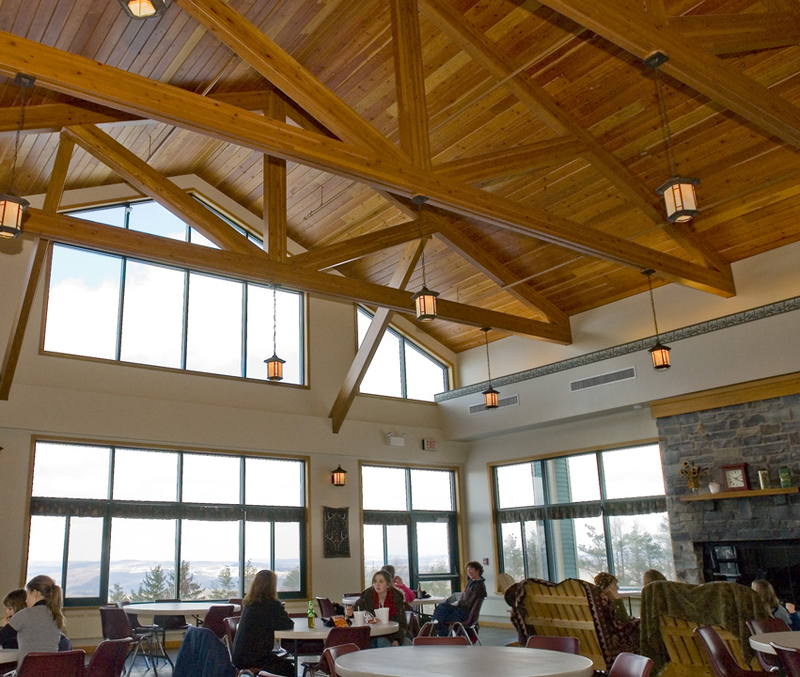 Skyline Lodge is an Adirondack-style building featuring sweeping views of southern Onondaga County, located in the Town of Fabius. The lodge is an ideal place for weddings, banquets, meetings and parties. Skyline Lodge will be available for groups of up to 160 people or for smaller gatherings the space can be divided to hold up to 100 in the larger room and up to 60 in the smaller room. Please call us at (315) 677-3303 to discuss custom-designed menus for any occasion. ​We also offer a Prime Rib Buffet the first Thursday of every month, and other special buffets throughout the year, including Easter, Mother’s Day, and our ‘Valentine’s in the Forest’ program in February. Contact us for more information on these special events. Listed below are our standard banquet menu options. If you so desire, we would be delighted to design a special menu to fit any theme or occasion. Listed below are our standard parties & picnics menu options. If you so desire, we would be delighted to design a special menu to fit any theme or occasion. After your cross-counrty skiing, sledding or snowshoeing adventure, stop by and relax with some great food from our concession stand. We are open from mid-December to mid-March on Saturdays, Sundays and school holidays. If you are coming with a larger group, you can give us a call and pre-order your food and we will have it ready when you are!